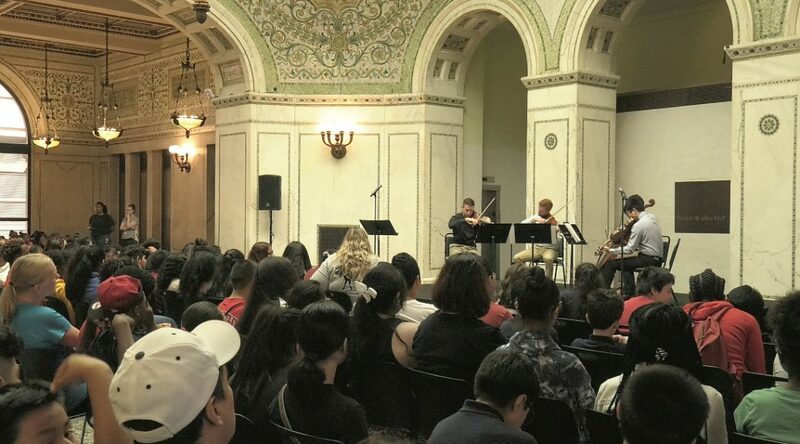 The International Music Foundation is a Chicago-based organization dedicated to providing high-quality musical performances and music education throughout the city. As part of its outreach, the foundation has provided free, music programs to Chicago Public School students for 35 years. Through in-school visits and field trip opportunities, including its performances at Preston Bradley Hall called Live Music Now, the foundation gives arts enrichment to local youth. The 45-minute presentations and demonstrations are free events, where students and visitors can come to enjoy live music that they may not be exposed to otherwise.